CNS Canada — Farmers in Saskatchewan and Manitoba are waiting nervously for damage reports from Tuesday night’s frost. “There are a few areas where they had a long duration of a light frost and that’s as bad as a short duration of a really hard frost,” said Anastasia Kubinec, manager of crop industry development with Manitoba Agriculture at Carman, Man. A long frost allows enough time for cell walls to break open and for desiccation to occur in canola and soybean pods and in ears of corn, she said. Areas most affected included Swan River, which had eight hours of frost, Inglis (seven hours), Birtle (six hours) and Oakburn, which recorded lows of -4 C.
In Saskatchewan, provincial extension specialist Brent Flaten said the eastern side of the province was worst hit. However, he said he doesn’t expect there will be a lot of damage because most crops are mature enough to withstand it. 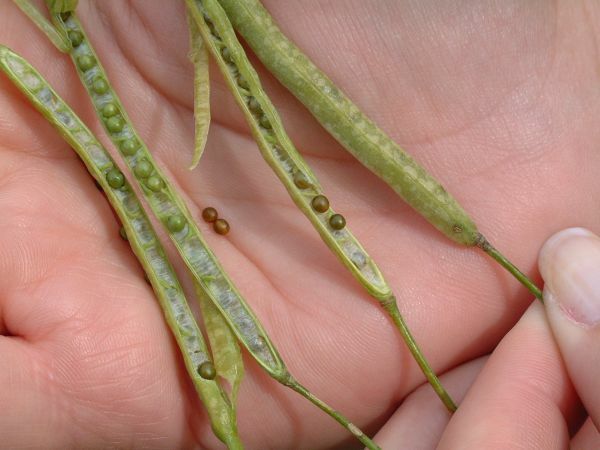 Late-seeded canola could be affected with green seed and farmers might start to see pods opening in a day or two, he said. “But it’s only with the very late crops. “All I know is, that it is a localized area, spotty area; everything in that P.A. (Prince Albert), to Regina and east,” said Flaten, who’s based in Moose Jaw. In one of the worst-hit areas, around Broadview, Environment Canada reported five hours of frost and two hours of temperatures below -4 C. Later-maturing crops in this region are likely to see issues, he said. Canola growers, however, might want to go ahead and swath crops if they’re ready, she said. Farmers might have to put up with a little yield loss or lower test weights, but swathing now will reduce shattering and that is likely better than leaving it. Canola in swaths will likely get moisture from dew, which will hopefully slow dry down and prevent pods from opening, she said. On grain corn for silage, Kubinec encouraged producers to make sure they have their feed tested for nitrates. Feed with high nitrate levels is poisonous to cattle.